There are several investors who do not want to take risk and just want invest in bank fixed deposits and get interest. 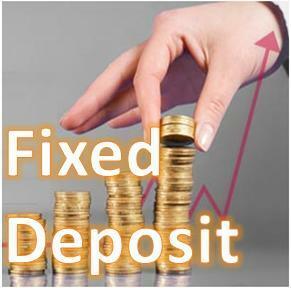 If you are such an investor and want to get highest returns out of the bank fixed deposits you are at right place. 1) Term deposits or recurring deposits, which one to invest: There are different interest rates offered by banks for term deposits or recurring deposit. Generally the interest rates are higher in term deposits compared to recurring deposits. a. If you feel that banks are currently offering lower interest rates, then better go for term deposits (invest in single lots every month) rather than going for recurring deposits. b. Once you feel that interest rates are stabilized, you can open recurring deposit and invest every month. 2) Variable recurring deposit: Some of the banks are offering variable recurring deposits. Variable recurring deposits offer a choice for us to deposit a minimum amount every month, however in case you have a surplus amount, you can deposit any amount any time without any restriction. Variable recurring deposits are good especially when the interest rates are very high and you expect that interest rates would fall in near future. I have invested in Indian Bank variable deposit plan a year back which offers 9.5% interest rate. During that time, all top banks were offering similar interest rate. However now after a year, all such top banks have lowered the interest rates to 8% to 8.75%. But whatever I deposit in such variable recurring deposit now, I still earn interest rate of 9.5% per annum. 3) Choose reinvestment plan: Most bank fixed deposits offer “reinvestment plan”. Reinvestment plan is such that your interest on your fixed deposit would get re-invested (would not be withdrawn) every year and interest would be earned on such interest amount. Due to this effective yield (return) at the end of the maturity period would be much higher comparing to normal deposit rate. 4) Deposit wisely in various banks/branches: If the Interest exceeds Rs 10,000 on your fixed deposits, it would attract TDS. In such case deposit in various banks or branches so that you can avoid TDS. This would be a good option for investors whose income has not exceeded the tax limit, but still banks deduct the TDS as it exceeds the threshold interest limit. However this may not work out for income tax payers, as during the tax declaration, they need to show the interest as "other income" and pay necessary tax. 5) Choose auto renewal option : If you are not good at maintaining your personal accounts, after the maturity, you may not renew the fixed deposit and loose the interest. In such case, choose auto renewal option in fixed deposit so that they get renewed after maturity period automatically. Conclusion: Bank fixed deposits offers fixed income. Deposit them wisely to get highest returns on your bank fixed deposits. SIP INVESTMENT,(MONTHLY) OR ANY GOOD OPTIONS .PLEASE ADVISE.AWAITING FOR YOUR REPLY.I HAIL FROM SOUTH INDIA.50000 MONTHLY I CAN MANAGE TO SAVE.NEED YOUR VALUABLE ADVICE. Hi Satheesh, I understand your problem. For investing for 6 years, you can plan this way 1) Invest 40% in equity mutual funds like ICICI focused blue chip fund, HDFC top 200, UTI Equity fund, Birla SL Frontline equity fund 2) Invest 30% in balanced mutual funds. You can check ICICI balanced fund, HDFC Prudence fund, Tata Balanced fund etc. 3) Invest balance 30% in recurring deposit of a bank where they are offering highest interest rates (avoid small banks).